How to measure the effectiveness of an SEO campaign? SEO is the undeniable part of any business promotion campaign and most of the success of the online marketing directly depends on it. 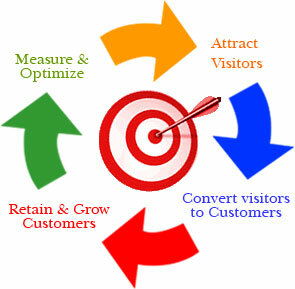 So it is very essential to measure the performance and the effectiveness of an SEO campaign. In a general way, SEO is regarded as the method of placing your website is on the top of the search engine research pages. In the many scenes getting higher rankings and SERP visibility is called the main objective behind all the headache. But in the actual, the SEO is much more than just earning the top ranking in the search results. There are many other fields where SEO works in the benefits of the overall business. Of course, the rankings really do the matter, but there are many other parameters or the scales on which the performance of any SEO can be measured. Here are the key performance indicators to be watched in the concern of a successful SEO campaign. The improvement in the conversation is not meant by the increasing the rate of conversation from 10 % to 20%. It is the point of revenue. There are many business organizations who do not consider it even as the art of the SEO campaign. But, as per the changing mindset of the new generation, SEO professionals it is the main part of strategy making and also evaluating the performance of the SEO campaign. Usually, the content on your website is very difficult to be taken as the scale to measure the performance of the SEO, but sometimes it can be used as an interesting area to evaluate the campaign. No doubt, the excellent content is the factor that delights Google, attract the visitors leads to new links, increases the conversations, and supports the engagements with the press, business partnerships, and all the other related aspects. The success of the content strategy directly influences the performance of the complete SEO campaign. In the modern prospects of the online business, the links are regarded as the lifeblood of any SEO campaign. So, it is the next key performance indicator that is used to measure the performance of an SEO campaign. The relevancy of the links is a highly considered matter here. Though it is not necessary that the link is perfectly related, it should be within the same niche. It is also should be taken into care that the links should not be coming from the directories, forums and coming from the comment sections of social media sites, press releases or the blogs (though these are also good but cannot be considered in the SEO Point of view). If you can manage to earn the 10 to 20 high-quality links per month (depends on the type of your industry), it will be regarded the satisfying result of your SEO campaign. No doubt, the keyword ranking is the most obvious scale to measure any SEO campaign. As per the studies, the websites listed in the top 10position in Google SERP receive near about 80-90 percent of traffic share. Through a nice keyword ranking, you can boost your capability to design your content strategy as well as the entire SEO strategy which will surely prove beneficial in attaining the organizational results. On the other hand, discovering the most suitable keywords is a highly complicated task and in order to secure the top position in the search results you cannot rely on just one or two keywords; you need to get at least 100 keywords then comparatively analyze them and the then finally pick the 15 most compatible and competitive with them. Now, you get the base on which you can centralize all your content creation efforts and make the various other strategic decisions. 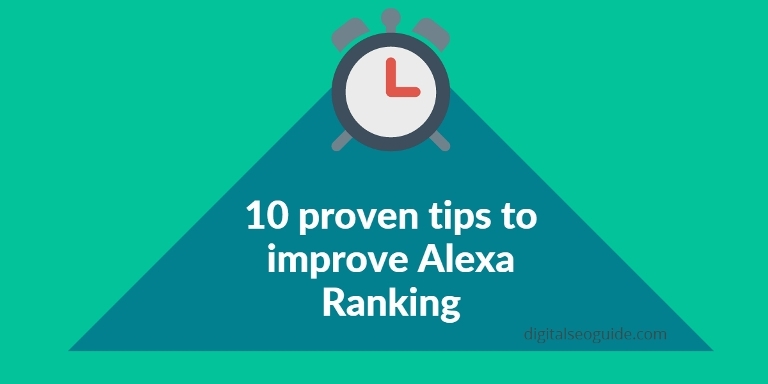 Here it very crucial to know that the keeping the track record of the ranking is nor the absolute, you have to watch out that is the keywords are contributing properly in driving the quality traffic. Traffic volume: This should be scaled to the amount of the traffic that is driven from the organic search. If the SEO is really working, then it will be directly reflected in the increase in the amount of traffic. But the recent increase in the traffic also must be compared with the targets set in the SEO. Traffic Quality: This task is trickier one and requires a great care and analytical approach. For this, an SEO professional need to include the page per visit, bounce rate, and average visit duration. It is also advised to use the information provided by the Google Analytical Dashboard. Though SEO impacts the overall traffic, it is smart to judge the campaign by watching the non-paid or the organic traffic from the search engines. An efficient and effective SEO can bring the nice amount of qualified and relevant traffic to the website through the various long tail searches based on the products and services provided by your company. If you use the assistance of Google Analytics or ay another analytics program, it becomes very easy to filter the searches and exclude the branded searches from them. And the outcome is the non-branded organic traffic, the real assets of your SEO campaign. The leads are the key element that you would like to watch out and expect to get a boost as the results of the efforts of your SEO team. This is probably the bottom line of your SEO campaign. on the realistic grounds, it is sometimes a bit complicated to track the leads from the campaign, it also takes extra time and the group efforts, but ultimately, the tracking down of the leads is the element that can truly be beneficial in the terms of measuring the performance of the SEO campaign and making further improvement in the strategy. Well, I’ve described the key performance indicators of successful SEO campaign. If you have any suggestions then share with us in the comment section below.